Is it hot where you live? Cool off this Labor day weekend with a FREE blizzard this Labor Day. You have to download the Dairy Queen app to get the deal. You can save money eating at the Olive Garden. They have a buy one take one deal…dine in for one meal – take a freebie home. On The Border has select tacos for $2 right now. You can get free delivery at participating Wendy’s locations but you have to order $10 or more through Doordash. They also have 50 cent Frostys to close out summer. Cicis – If you love food but find yourself wishing you could cram a tiny salad with bacon bits onto the edge of the plate, drop into Cicis. 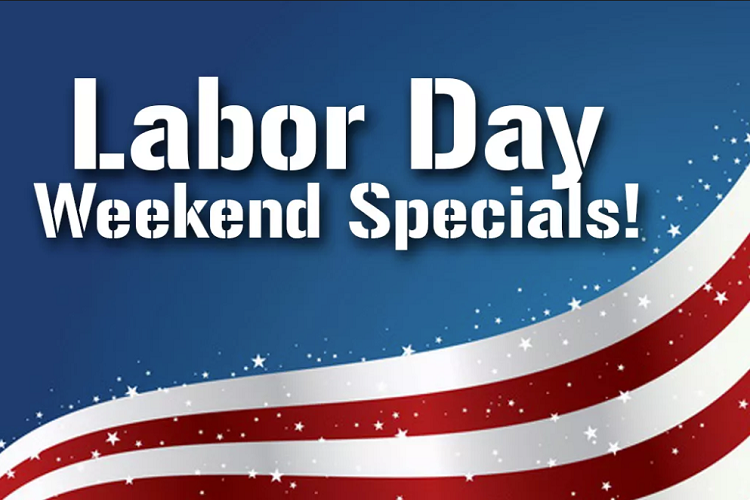 On September 3, you can get a free adult buffet with the purchase of another adult buffet and a regular or large drink. And you can find a free 8-piece chicken nugget at Chick-Fil-A when you download their app. Stop by your local Baskin-Robbins on Sunday, September 2nd from 3pm-7pm for a free sample of their Pumpkin Cheesecake Cappuccino Blast. To find a location near you, CLICK HERE. BJ’s Restaurant & Brewhouse: Through Sunday, Sept. 2, the chain has a coupon for $10 off a $40 food purchase, which can be used when dining in or on takeout and delivery orders. For online orders, use promo code 10OFF40. On Labor Day, get half off any large deep dish or tavern-cut pizza as part of the chain’s brewhouse special. Boston Market: On Labor Day, the chain has a $29.99 deal that includes a whole rotisserie chicken, half rack of ribs, four sides and four pieces of cornbread. No coupon necessary. Burger King: With a $15 minimum purchase, get free delivery through Monday, Sept. 3 through DoorDash from participating Burger King locations. Place orders with the DoorDash app or website. Dickey’s Barbecue Pit: Through Sunday, Sept. 2, get $3 Pulled Pork Classic Sandwiches and $6 Westerners with a coupon posted at www.dickeys.com. Firehouse Subs: Saturday, Sept. 1 through Monday, Sept. 3, get a free medium sub with a coupon and purchase of a medium or large sub, chips and drink. Fogo de Chão: Through Monday, Sept. 3, kids 12 and under eat free with purchase of a full-priced meal. Fleming’s Prime Steakhouse + Wine Bar: For the long weekend, the restaurant has a three-course Celebration menu starting at $39. 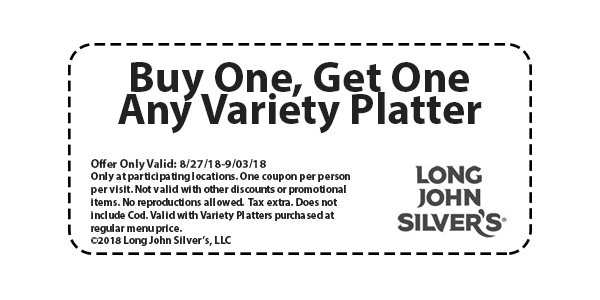 Long John Silver’s: Through Monday, Sept. 3, buy one any variety platter, get one free with this coupon posted on the chain’s Facebook page. Papa John’s: Through Monday, Sept. 3, buy any pizza at regular menu price online and get one of equal or lesser value free with promo code LABORDAY. Potbelly Sandwich Shop: Through Sunday, Sept. 2, buy one Wreck sandwich, get another Wreck free. Rock Bottom Restaurant and Breweries: Through Monday, Sept. 3, get two-for-$20 growlers. Wendy’s: In select markets, orders $10 or more can be delivered for free through DoorDash on Fridays, Saturdays and Sundays through Nov. 25. Potbelly Sandwich Shop: Free Shake Friday is a three-day event on Sept 6-9 at Potbelly. With an entrée purchase at participating locations, get a free shake when you say #FreeShakeFriday. Perk members also will have the perk in their accounts. Free Divvy rides September 2 – The Showtime network is offering free Divvy rides on Sept. 2 to promote the new season of its Chicago-set dramedy “Shameless.” Users of the bike-share program should be able to access free Showtime-branded passes via the Divvy app for 24 hours starting at 12:01 a.m. Sept. 2. To compare, the Divvy “explorer” pass costs $15 for unlimited trips in a 24-hour period. A similar promotion is set for New York’s Citi Bike program. Free Labor Day Haircuts – Time to get your kids back to school. Next Showcase Chicago is providing an assist with free haircuts and a school supply give away Labor Day weekend. It’s called the Labor of Love, a back to school celebration to get your kids prepared for classes. Notebooks, backpacks, and pencils will all be available. It’s going down Monday, September 3 starting at 8 a.m at HeadzUp barbershop in Washington Heights.